Options for Year 9 Students 2018-19 – information for students and parents. In Year 9 the Creative Arts and Technology are offered in a series of modules. During the year, you will study four different modules. A weekly double period for half a year is allocated to each module. Indicate your 1st, 2nd and (where possible) 3rd choices within each block. Remember that it is a requirement of the programme that you take one module from each of Art (A), Design (D), Music (M) and Theatre (T) in the course of the year. It is important to read the course descriptions below before choosing. Note that there are minimum and maximum group sizes for each module. We cannot guarantee that every module will run. Note that there is a proficiency requirement for M2. This course will introduce students to the basic principles of large scale architecture design. Students will work on a brief, produce design ideas and drawings, investigate environments, user needs, and choose suitable materials. They will study relevant aspects of structural design and research inspiring architects and designers such as Zaha Hadid and Thomas Heatherwick, how they create the right balance between form and function. Students will learn how to use 3D Design software such as Autodesk and will be able to create an accurate scale model of their design. Good design is vital for our well-being and comfort. This can be applied to the macro world of small personal products, such as the iPod, up to the larger projects in our living and working environment. This year’s theme will be “Sound and Light”. Using the full resources of the design studio and workshop you have the chance to design and make a unique product, personal to you, which you will be able to take home. Examples of products you may be interested in making are stereo speakers for your MP3 player, creative lighting using the latest LED technology or a makeup box with a self-activating lighting system. There will be opportunities to use a large range of coloured acrylics and wood as well as exploring some more unusual metals. You will have full access to the tools and machines in the workshop as well as computer aided design (CAD) and computer aided manufacture (CAM). In this module you will investigate how different pop songs are constructed and write and record your own songs, using apps such as GarageBand. No instrumental experience is required, but if you do play instruments such as piano or guitar, you can choose to use these skills within this module. You will not need to sing on your own, but please be prepared to sing in a small group. However, if you do enjoy singing individually you will get plenty of opportunities when recording your own songs! If you take individual instrumental lessons and would like to develop your performance skills further, this module will give you the opportunity to rehearse and perform in small groups. If you would like to learn more about composing for your own instrument or arranging music for other instruments, the module will be flexible enough to allow for this too. This module is appropriate for instrumentalists of Grade 3+ standard (Grade 4+ for pianists who don't play another instrument). Music plays a vital part in creating the atmosphere in films. In this module you will investigate the techniques film composers use to make you feel nervous and frightened – or happy and cheerful! You will make your own short film using apps such as iMovie and then use music technology to record its sound track. No instrumental experience is required, but if you do play an instrument you can choose to use these skills within this module. In this module you will explore different stage makeup techniques and learn how to design the makeup for a wide range of different characters. You will experiment with techniques to achieve appropriate makeup for fantasy characters, explore different aging techniques for older characters and learn how to create wounds and injuries such as cuts, bruises and bullet wounds. All of the designs we create will be linked to characters from theatre texts. We will also consider the effects of stage lighting, costume and hairstyles. For this module, you need to be prepared to act as model as well as makeup artist. This is a performance-based module in which you will develop your skills as both a performer and choreographer. You will begin by looking at how music is used in theatre and explore the specific performance techniques used in the delivery of musical theatre. You will consider how to choreograph simple movement sequences for performance and then work to create your own choreographed routines and scenes for musical numbers from a variety of different shows. There may also be an opportunity to work with a professional choreographer. At the end of the course you will perform your choreographed routines as part of the Year 9 Creative Arts Evening. This is a practical performance module in which you will explore different ways of creating very visual theatre. You will first consider the work of some contemporary theatre companies who adopt a very visual style in their work. You will then explore a wide range of different theatrical styles and techniques including physical theatre, mask work, and puppetry; you will also experiment with different lighting techniques including projections, ultra-violet and strobe and you may have an opportunity to design and make some basic props or puppets. You will then work in groups to create a final piece of original performance work which will incorporate a selection of the techniques you have explored. This is a performance-based module in which you will develop your skills as an actor and which will focus on using and adapting text for performance. You will start by looking at ways of performing different styles of theatre, experimenting with a range of play texts including Greek tragedy, Shakespeare, musical theatre and modern scripts. You will also look at ways of adapting or using non-theatre texts for performance, such as poems, short stories and even newspaper articles. You will have an opportunity to work with the sound and lighting equipment in the Drama Studio and consider how staging and design can support the performance work. Towards the end of the course you will work in a group to create a piece of theatre for performance as part of the Year 9 Creative Arts Evening. This is not a performance-based module: in this course you will consider the role of the design teams who work behind the scenes and you will have the opportunity to help design and create some of the costumes, props or set for the spring and summer term middle school productions. You could find yourselves designing and creating anything from giant props and pieces of painted set to masks, puppets, costumes and even makeup. At the end of the course you will be able to see your creations being used on stage in the production; some students may also have the opportunity to work backstage during the performances as part of the crew. This is a performance-based module. You will learn some basic stage combat techniques. You will then explore a number of different extracts of text that involve a battle, fight or argument and you will devise and choreograph your own fight routines for each of the scenes, both with and without ‘weapons’. In addition to creating some more serious battle scenes you will also consider how stage combat can be used in slapstick routines to create comedy. Towards the end of the course you will polish a selection of your scenes to perform at the Year 9 Creative Arts Evening. Using a range of sculptural techniques you will depict animal or human forms to express character within the context of a story. Teaching will focus on how to use clay processes including; modelling, joining and slab construction to build a series of test models. Through expressive drawing, your own photographs, internet research and focus on a book, film or play, you will be able to design and develop personal ideas. Pinterest will be used to access relevant artists’ work for inspiration. You will have the freedom to decide upon a style of influence in order to make a large scale animal or human figure sculpture using clay and finish it using glazes. This course provides an excellent stepping stone to the GCSE Art course. In this project you will choose song lyrics to inspire your creative ideas. The relationship between Art and Music will be investigated and you will examine how drawing to music affects your expressive techniques. These and images sourced from the internet will provide initial images for your portfolio. iPad apps will be used to encourage imaginative responses to the theme. You will access Pinterest to refer to a range of contemporary and historical Art styles of your choice. Whilst working on canvas, oil and acrylic painting skills will be built upon, to produce exciting outcomes. We will be using QR codes to trigger a video that you make about the process of your painting. This course provides an excellent stepping stone to the GCSE Art course. 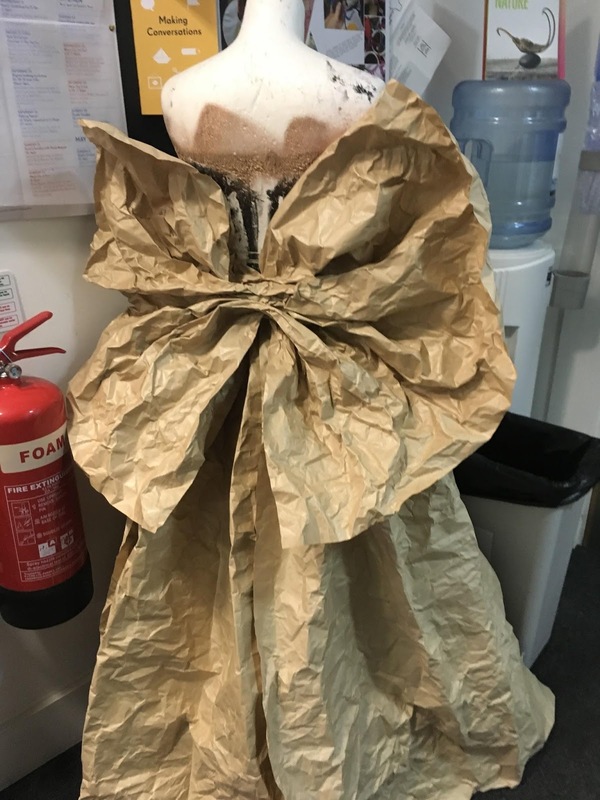 This is a fashion based exploration of sculptural techniques, looking at the creation of simple garments using found and recycled materials. Each week students will face a 60 minute challenge and hone their constructing skills in the textiles studio. 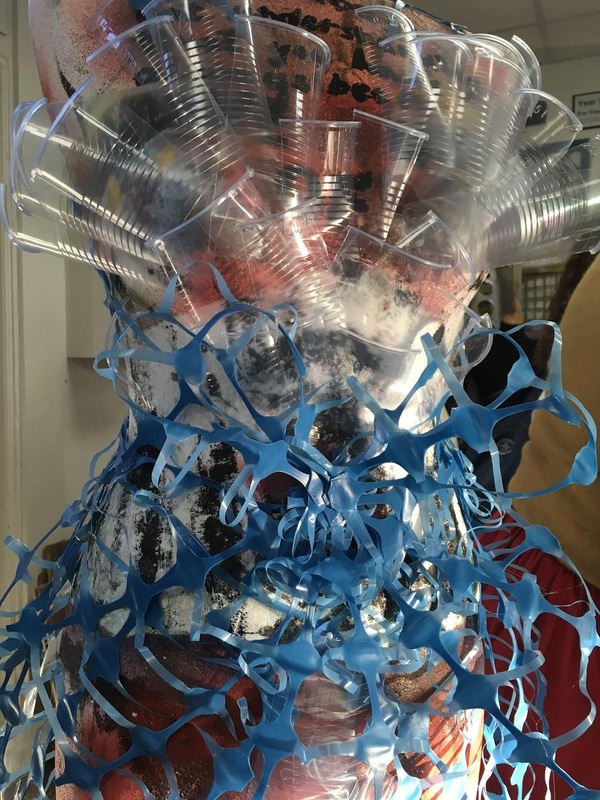 Students will learn how to develop designs and think on their feet, to collaborate and problem solve with each new material, and relate these to other experimental designers such as Yohji Yamamoto, Vivienne Westwood and Hussein Chalayan. They will learn about basic pattern cutting and construction using a mannequin. Sewing machine skills will be essential and will be developed in the later stages of the project. Students will explore sketchbook and design techniques and may be required to purchase their own decorative fabrics/bring in found clothing in the later stages of the project. 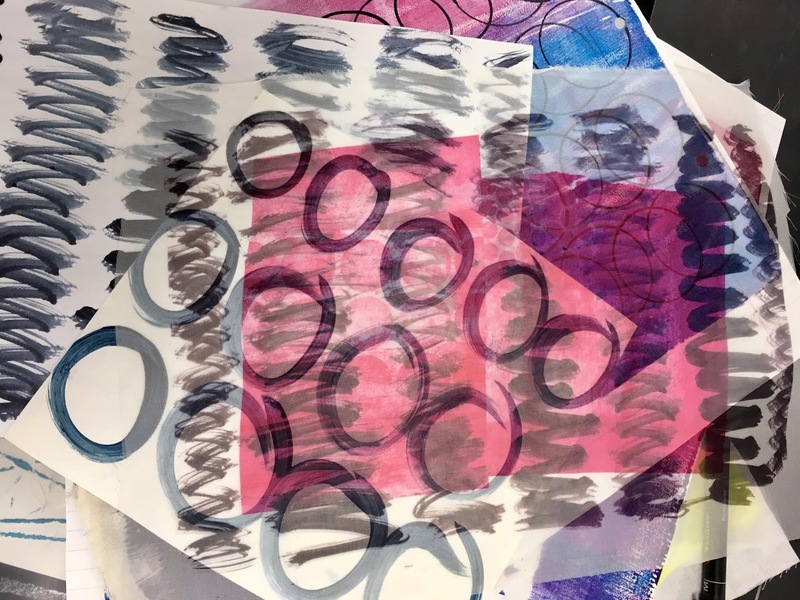 This module offers a practice based, design led experience, which develops your creative vision and develops your understanding of printed textiles. You can create diverse design solutions that span a variety of outcomes for both fashion and interiors. You will explore a range of experimental techniques covering printed samples, experimental print pieces, laser cut fabrics & screen printed pattern. We will cover early print techniques such as dye transfer, lino / polyblock print, as well as silk painting and offset monoprint. You will build a portfolio of textures, colours and fabric in a physical and digital portfolio, and get your fingers dirty! This module is about exploring the history and culture of memes around Identity. You will research the intention and identities of successful creators (e.g. youtubers), their styles and their audiences. Memes are images, video, piece of text, etc. typically humorous in nature, that is copied and spread rapidly by Internet users. Students will then learn to create their own versions of viral videos and GIFS using iMovie and Photoshop. Students will use a blog rather than a sketchbook to record their process ( https://viralvif.wordpress.com/) and an art prize is awarded for the student whose online work has the highest number of views. Communicating visually using font design, illustration, photography and image making is an integral part of our daily life. You design your own portfolio inspired by Feminism picking from a large range of Photoshop tutorials to create your digital portfolio This course will look at Typography, Poster Design and Graphic Design from perspective of equality, ethics, fashion and feminist artists. You will learn to interpret and select fonts and use Photoshop as a visual design tool. Would you like to improve your art portrait photography using Photoshop to brighten teeth and whiten eyes? What about a banner, or tutorial in swapping heads or going surreal? For those who are interested in drawing, learning to create an epic fantasy digital ‘painting’ using a drawing tablet or apple pen may suit you best? Photoshop is so versatile, there are many tutorials to choose from ranging from graphics, typography, illustration, photography through to digital fine art.